We've created five fabulous looks that spotlight this season's hottest accessory—tassel earrings. Whether you need inspo for work, date night, or a casual day running errands, we'll have you acing the trend. 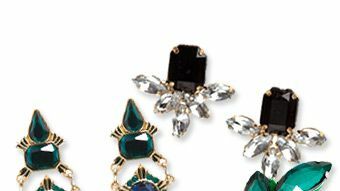 Click to see the bargain-bling pieces (brooch and hair pin included) that will infuse any look with charm.